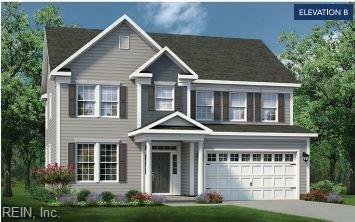 105 Moorland Way, Moyock, NC 27958 (#10250940) :: Abbitt Realty Co.
Moyock's BRAND NEW community, Waterleigh. Large home sites on the way to the Outer Banks. 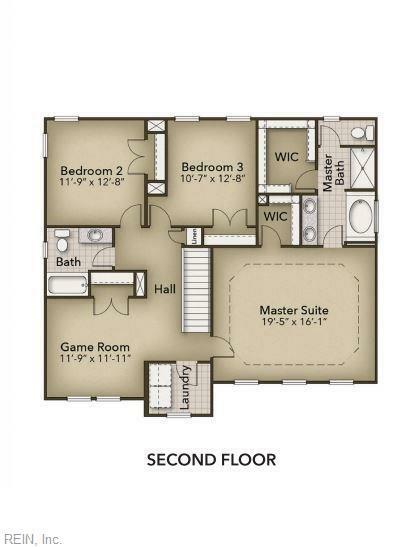 "The Hatteras" opens to foyer & 1st floor flex room w/ walk in closet. Kitchen features Custom Cabs paired w/your choice of counters & Energy star appliances. 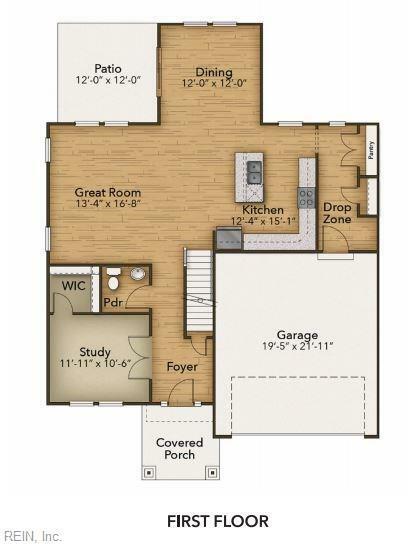 L shaped design offers open layout complete w/center island for extra storage & meal prep. HUGE pantry w/ ventilated shelving & Breakfast nook w/sliding door access to rear patio. Drop zone w/opt Bench & pegs. Great room w/lots of windows for natural lighting. 2nd floor beds include master suite & game rm/opt 4th bed. Master boasts tray ceiling & 2 walk in closets! En-suite bath offers double bowl vanity & soaking tub w/sep shower. Loaded w/Energy saving features. An exciting part of "ChesHomes Experience'. The "Design Gallery" area that showcases MANY of the options available to personalize the interior to fit you! One on One consult with Designer included. Closing cost assistance w/use of builder's preferred lender!